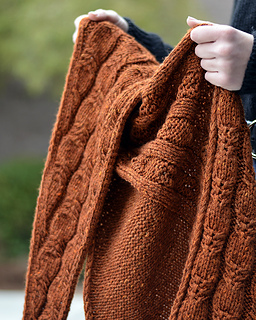 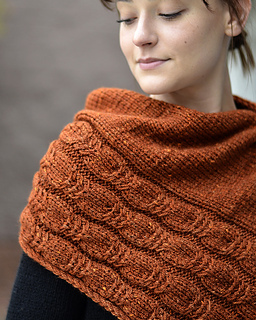 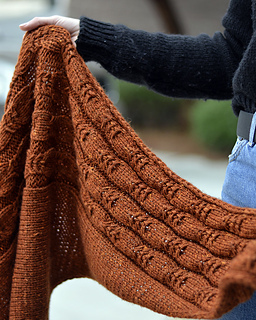 • HONEY RYE is a cozy, snuggly triangle shawl, featuring a narrow ribbed base, beautiful cables, ever classic Stockinette stitch and textured edges. 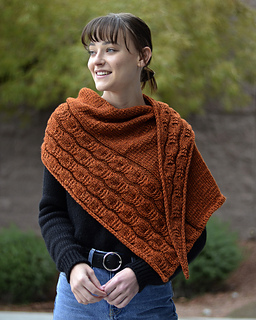 • HONEY RYE is worked side by side with two strands of yarn held together. 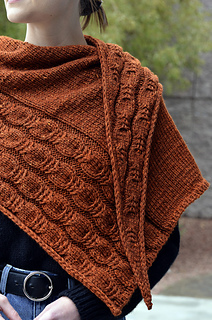 • This design is totally inspired by nature, countryside quietness and this beautiful yarn. 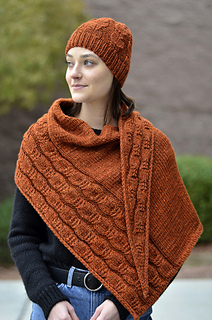 If you’d like to make both Honey Rye Shawl and Honey Rye Hat, 8 hanks of recommended yarn should be just enough. 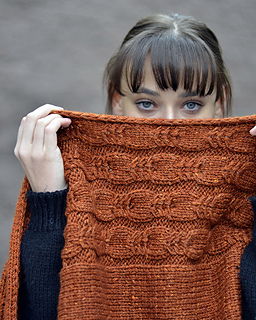 This pattern is for personal, non-profit use only.